June Dudley loves painting delightful children. 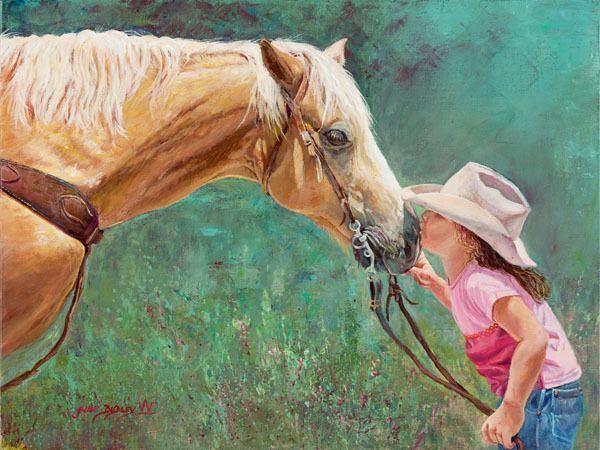 This little cowgirl's love for her horse results in some tender kisses on its nose. As everyone knows, you never forget "The First Kiss." This beloved horse will always return the affection as the two grow even closer as the years go by.